Cody Ziglar (Or Zig as we call him in the office) is a producer at our Earwolf comedy network. Zig is responsible for overseeing production on ‘Yo, Is This Racist?’, ‘Getting Curious with Jonathan Van Ness’, and he’s recently been curating the Earwolf Presents feed with fun new pilots. 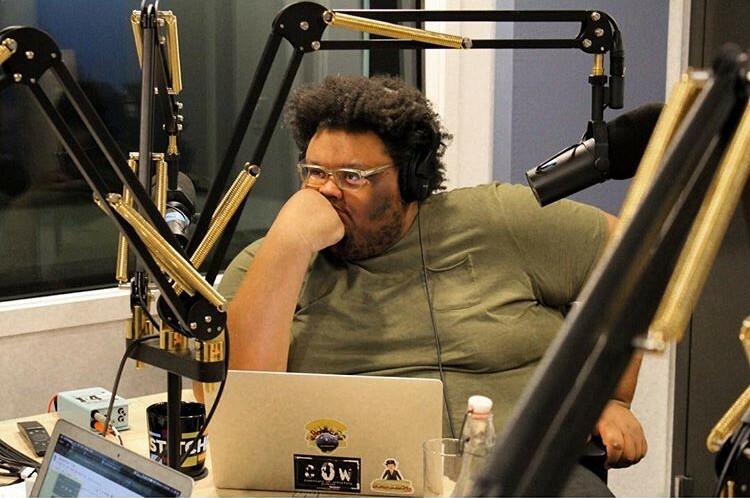 We caught up with him to find out about what he’s doing and his goal of bringing more people of color into the podcast industry. Q: Where are you from? What’s your background? Where did you work previously? How did you end up at Earwolf? A: I was born & raised in super small rural community called Pine Hall, NC. I was REALLY into music and cartoons as a kid, so I spent most of middle & high school glued to Cartoon Network & Adult Swim. I ended up studying communications in undergrad before deciding I wanted to go to film school. After graduating, I got my MFA in Film & Television Production from Savannah College of Art & Design. Toward my last year at SCAD I ended up landing an internship at Adult Swim where I was a director’s assistant for Dave Willis & Casper Kelly. We were working on the second season of “Your Pretty Face is Going to Hell” and I basically spent 12 hours a day watching those guys work in the trenches. It’s stressful, amazing, and informative and fun all at the same time. After finishing grad-school I moved to LA and after a relatively short time of working a terrible job, I landed a gig at UCB Comedy, managing their film equipment & studios and heading their fledgling LA podcast division. I was at UCB Comedy for about 3 years during which I kinda became known for fighting to get more diverse voices on the channel. Also during which I ran across some of the producers at Earwolf; I also knew a fairly decent number of their hosts/regulars since I’ve worked with most them at UCB. Q: Why did you want to get into podcast production? A: I sort of fell into it by accident as I’ve mainly worked in visual meda. However those visual mediums have always revolved around comedy in some form or fashion, and I think that podcasts (and audio by extrapolation) really fit well with comedy. Stand up specials work in both a visual form and in audio form. A: It changes from day to day (which I love) but a general week is broken down into something like this: Monday & Tuesday are my busy days as I’m usually catching up with emails, putting out fires, and editing episodes for a Wednesday release. We usually have weekly check-in meetings on those days so I’m often pressed for time since my day can’t fully start until 11 & I’ll sometimes have recordings staggered throughout the day. Once episodes are sent off on Tuesday, I usually start Wednesday with catching up on ad approvals, scheduling hosts, doing assembly edits, booking guests, writing, etc. I’ll take pitch meetings every few weeks and I try to check out shows when I can; I find it’s nice to keep a finger on the pulse of new voices and I like staying tapped into the community. Cody produces “Yo, Is This Racist?” in the Earwolf studio. Q: Tell us about what you are doing with Earwolf Presents and your goal of highlighting more podcasters of color. A: During one of my first meetings here I was basically told I had carte blanche to take pitch meetings and pilot shows. So I went ham with it; I think I piloted 5 shows & sold 1 pitch in my first 3 months or something crazy like that. I was really hitting the ground running and calling in every single black & brown person I know who thought was funny! And, a lot of the production team really liked their shows even if it didn’t necessarily mean we could pick them up to air. So I pitched the idea of running these shows on Earwolf Presents and my boss, Colin Anderson, supported it fully! Another Earwolf producer, Kevin Bartelt, was very enthusiastic as well and we ended up bouncing around some ideas with what we could do with the channel. We landed on turning into our own version of “Adult Swim Late Night.” For those who don’t know, the 4 am/Late Night slot is programming block that airs on Adult Swim at 4am. It consists of one-off specials and shorts that aren’t burdened by having a continuing narrative or a season series. That is, in spirit, what I’d like to grow the channel to be: a home for comedic experimentation from new & underrepped voices because there are SO many wonderfully talented PoC performers out there that aren’t getting the shine they should. Q: Is there something you feel like the podcast industry is lacking right now? A: I think a level-headed person can take a pulse of the media landscape and see that it’s catered to a specific voice & audience. Podcasting reflects that specific vision as well. The ultimate way to make the medium reflect what the world looks like is having gatekeepers from those underrepped communities. Aside from podcasting, I also write & direct comedy shows and videos. I can tell you that there are not a whole lot of people in the comedy directing world that look like me. I have had some amazing mentors and gatekeepers give me guidance along the way, but all of those people were white men. Getting my foot in the door and then holding it open for people who look like me is my mission statement. A: Working with almost all of my comedy influences is without a doubt the #1 perk, Yo, Is This Racist? was one of the first podcasts I ever listened to, so fast forwarding to me currently producing it is kind of surreal! Same with with Paul F. Tompkins & Lauren Lapkus; when I first moved to LA I would start my week off by listening to Spontaneanation on Mondays and end my Friday’s by seeing Bangarang!, Lauren’s UCB house team. Working with them every week on Threedom is so wild and fun, I love everything about it. Q: What advice would you give to people trying to break into the podcast industry, whether it be a podcaster or someone who wants to work behind the scenes? 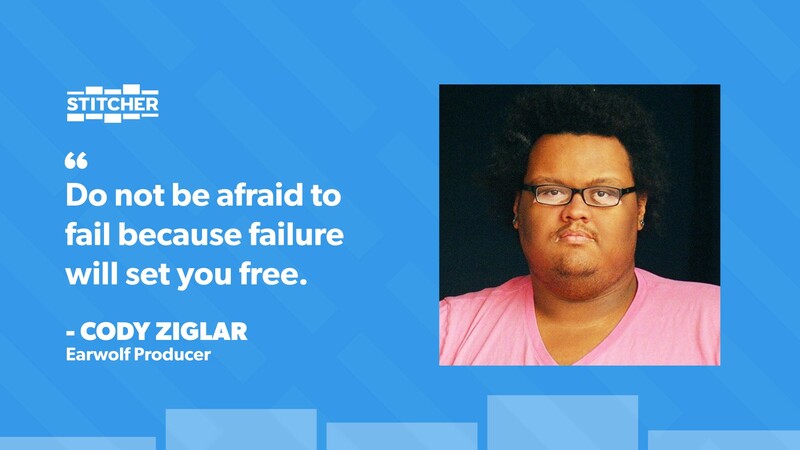 A: This might sound like a platitude but I promise you it’s not; do not be afraid to fail because failure will set you free. You must be 100% willing to eat it and make a lot of bad before you start making good. Ten thousand hours…practice makes perfect…whatever you want to call it; throwing stuff at the wall and seeing what sticks should be the foundation of every creative venture. My 2nd piece of advice is to shoot the shot. Life is short and none of us are getting out of this thing alive, so you might as well take the leap because no matter what it’s always more satisfying than not knowing.